On the first day of Christmas my toddler gave to me a broken ornament under the tree. On the second day of Christmas my toddler gave to me two Ninja Turtle kicks, and a broken ornament under the tree. On the third day of Christmas my toddler gave to me three Elf on the Shelf infractions, two Ninja Turtle kicks, and a broken ornament under the tree. On the fourth day of Christmas my toddler gave to me four Angry Birds, three Elf on the Shelf infractions, two Ninja Turtle kicks, and a broken ornament under the tree. On the fifth day of Christmas my toddler gave to me FIVE. MOOD. SWINGS., four Angry Birds, three Elf on the Shelf infractions, two Ninja Turtle kicks, and a broken ornament under the tree. On the sixth day of Christmas my toddler gave to me six outfit changes, five mood swings, four Angry Birds, three Elf on the Shelf infractions, two Ninja Turtle kicks, and a broken ornament under the tree. On the seventh day of Christmas my toddler gave to me seven sassy dabs, six outfit changes, five mood swings, four Angry Birds, three Elf on the Shelf infractions, two Ninja Turtle kicks, and a broken ornament under the tree. On the eighth day of Christmas my toddler gave to me eight manipulation tactics, seven sassy dabs, six outfit changes, five mood swings, four Angry Birds, three Elf on the Shelf infractions, two Ninja Turtle kicks, and a broken ornament under the tree. On the ninth day of Christmas my toddler gave to me nine impossible requests for Santa, eight manipulation tactics, seven sassy dabs, six outfit changes, five mood swings, four Angry Birds, three Elf on the Shelf infractions, two Ninja Turtle kicks, and a broken ornament under the tree. On the tenth day of Christmas my toddler gave to me ten words worth bleeping, nine impossible requests for Santa, eight manipulation tactics, seven sassy dabs, six outfit changes, five mood swings, four Angry Birds, three Elf on the Shelf infractions, two Ninja Turtle kicks, and a broken ornament under the tree. 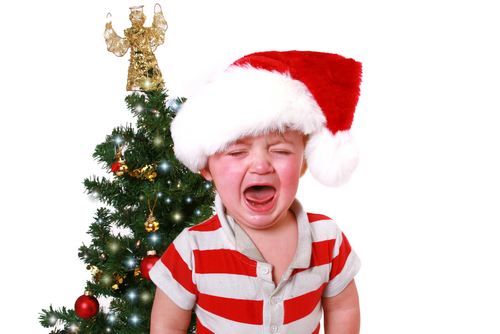 On the eleventh day of Christmas my toddler gave to me eleven hours of griping, ten words worth bleeping, nine impossible requests for Santa, eight manipulation tactics, seven sassy dabs, six outfit changes, five mood swings, four Angry Birds, three Elf on the Shelf infractions, two Ninja Turtle kicks, and a broken ornament under the tree. On the twelfth day of Christmas my toddler gave to me twelve minutes of Christmas miracle silence, followed immediately by eleven hours of griping, ten words worth bleeping, nine impossible requests for Santa, eight manipulation tactics, seven sassy dabs, six outfit changes, five mood swings, four Angry Birds, three Elf on the Shelf infractions, two Ninja Turtle kicks, and a broken ornament under the tree.